I am so beyond excited that it is almost fall and that temperatures are dropping from the shocking average of 100 degrees that we were getting in Lodi. On top of the shifts in Lodi, we just spent the weekend in Seattle, which was really the perfect kickoff to the season. We got rain and thunder and temperatures in the mid-50's - my dream. Plus, on Saturday morning, we stopped into breakfast at a lovely restaurant in Kirkland that I have been shamelessly stalking on Instagram called Little Brother. The owners are the cutest husband-wife team of chefs who also own DERU Market. I told you... shameless. Anyways, the moment we walked in all I wanted to do was snap photos. The subway tile... the concrete counters... the indoor mandarin trees... THE PUMPKIN CENTERPIECE! It was all too much beauty and at the same time exactly what I needed to get my wheels turning about our own fall centerpiece (and other decorations!). Until I make some creative final decisions, here are some fall tables that are inspiring me. Can you tell I also love Liz Marie!? 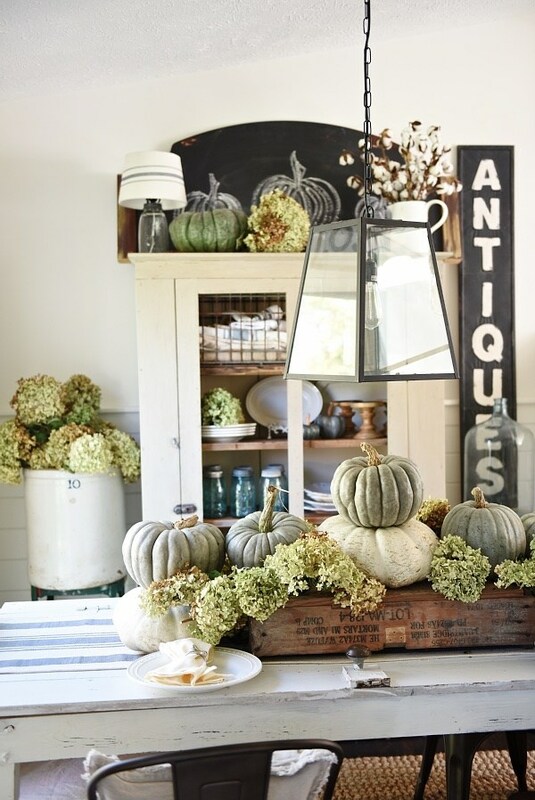 What are your fall decorating plans?